We’re getting married in Gibraltar, near Spain! Now that my apartment is sold and households have been merged, we can concentrate on the fun stuff… like wedding planning! I had my heart set on a midwinter handfasting in England. This time around, we’re a bit more pragmatic about marriage, and we liked the honesty of the six-corded handfasting ceremony vows. I’d envisioned an intimate early evening candlelight ceremony, followed by an Indian meal with close family. I’d wear a red dress with a white faux fur stole and my red-soled glass slippers. Robert would wear a dark suit and the art deco Tiffany cufflinks I gave him for Christmas. But as we looked into the legal requirements of marrying in England, it became obvious that what we’d thought would be a simple, intimate wedding was steeped in visa and residency requirements that would require more than a week off from work in addition to hundreds of Pounds just to get the paperwork in order. It’s shockingly difficult for a British citizen living abroad to marry a non-EU citizen in his home country, and leave again. Unfortunately, falling in love and marrying a foreigner isn’t as romantic as it seems. Though it would’ve been the simplest option, I was adamant that we would not marry in Denmark. Denmark is where he married the first time, and Denmark will not have a permanent place in our shared life. 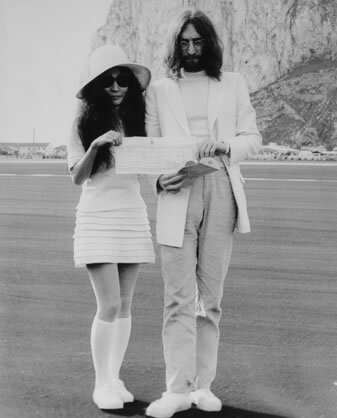 Anyway, I Googled, “getting married in Gibraltar” and found out that it was with good reason that John and Yoko married there… no visa requirements, no residency requirements, the marriage documents are issued in English, and recognized worldwide… easy, peasy! And so, in late September, we’ll fly to Malaga, drive along the Spanish coast to Gibraltar, scare up a couple of witnesses, marry in the Registry Office, then watch the sunset over northern Africa! We’ll celebrate with a small reception in England a month later, and take a winter honeymoon. Not even sure what I meant by that — but good idea for something different & happy to look forward to now & then remember back upon later on! Thanks for the link to handfasting — first time I’d ever heard of that so took a quick peek to see what it was… Wishing you both every future happiness. I’m sure you’re feeling like you could use some simple right now, and this option sounds not only simple, but perfect! 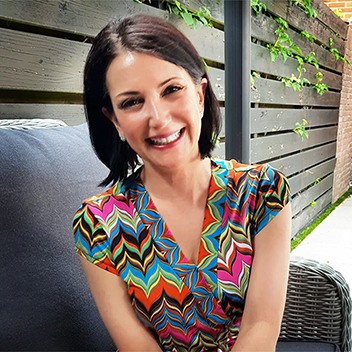 My life has been a bit short on simple lately, but we should be at cruising altitude soon with the stress of the sale, move, and finding the rhythm to our shared life behind us. It’s been a very intense few months, but hopefully the worst is behind us. I think the Gibraltar wedding is the perfect combination of simple and fabulous, and I can’t wait!